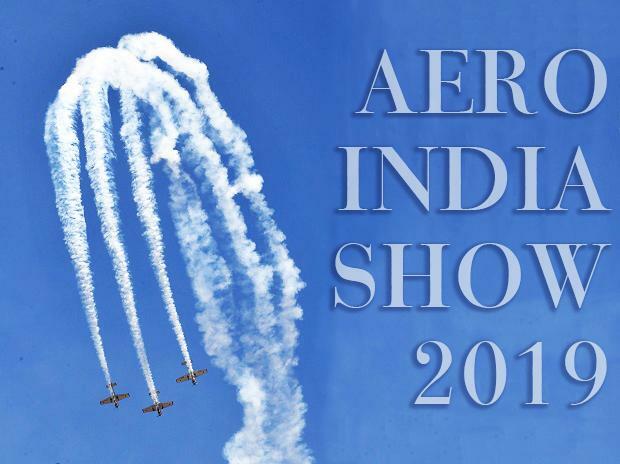 Bengaluru, India's aerospace hub has been decked up for Aero India Show 2019, the biennial event of aerobatic display that kick starts on February 20. The 12th edition of the event will be held at the IAF Yelahanka air base for a span of five days before it concludes on February 24th. 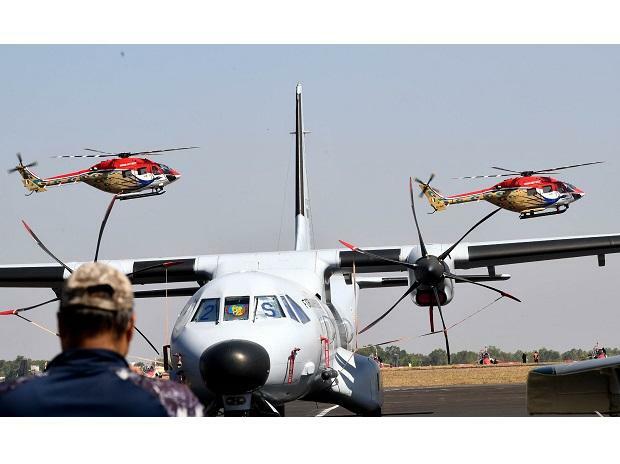 Civil Aviation Ministry as well as Hindustan Aeronautics Ltd (HAL) has come together with the Defence Ministry to host the expo that showcases latest technologies and products in aerospace engineering. Global aerospace majors showcases aerial as well as static displays of their aircrafts, including fighter jets, helicopters, drones, passenger jets and cargos. While there's a free entry from children below five years, Indian visitors will have to pay Rs 600 per day, and for foreigners the entry fee is $25. There will be 61 aircraft on display during the course of expo. 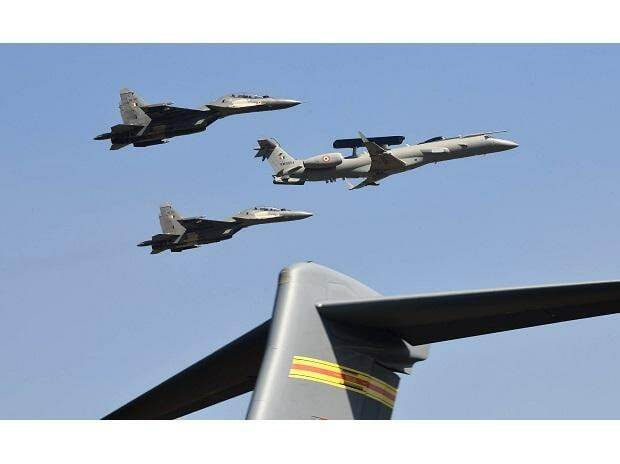 The Surya Kiran Team (Indian Air Force), Helicopter Dhruv-powered Sarang Team (Indian Air Force), Tejas Light Combat Aircraft (LCA), Boeing F/A-18F Super Hornet, Sukhoi Su-30MKI (cobra manoeuvre) as well as flying sorties and static display of Rafale fighter jets from Dassault Aviation will be a part of the show. 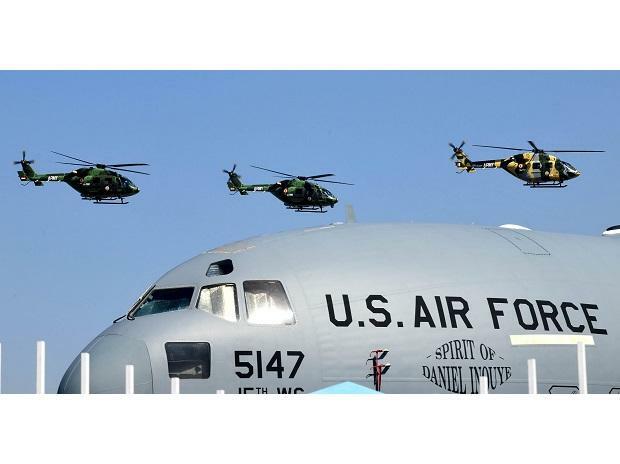 Apart from that Indian-made helicopters, fighter jets, drones, transport carriers like Boeing C-17 Globemaster III and Lockheed Martin C-130J Super Hercules, private jets such as Embraer S.A. for business enterprise owners will be present at the expo. Dassault Aviation, Dassault Systemes, Airbus and French Air Force are among the french companies that has already confirmed their participation. The second largest foreing representation is from USA with Boeing, Lockheed Martin and 25 other companies having registered already. 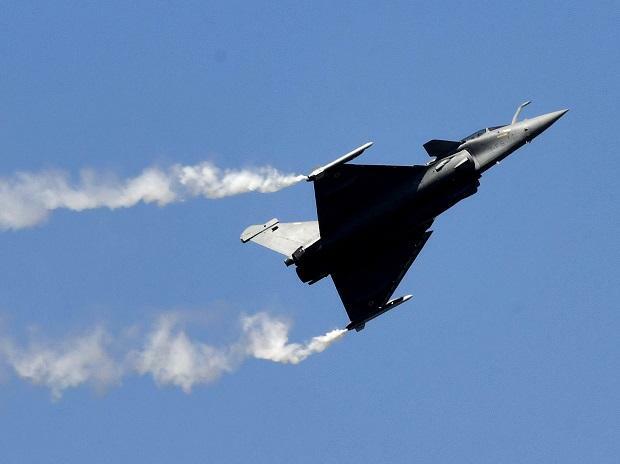 Amid a huge raging political storm over the Rafale deal, Dassault Aviation, manufacturers of the Rafale, have flown in three Rafale jets for the Aero India show 2019. While two of the fighters will be used for flying exercises and the third for static display. 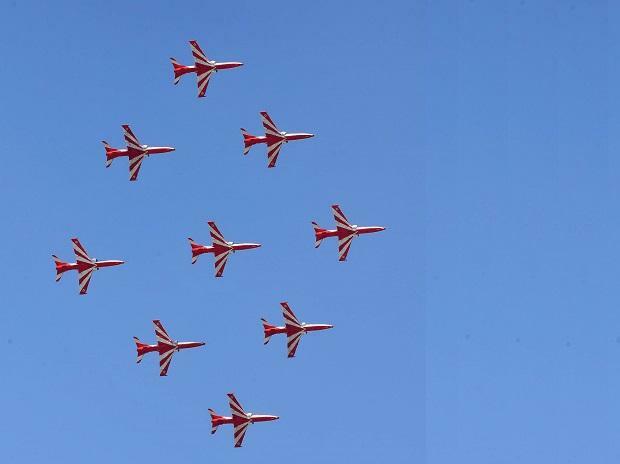 The jets have already showcased some scintilating maneuvers in the Bengaluru sky and is going to be one of the major attractions of the 2019 edition of the mega show. The French company said it would also showcase the Falcon 2000S business aircraft, certified for low visibility approach, alongside the fighter jet. Red Bull air race team will also participate in this year's expo, with pilots od Red Bull from the world over showcasing their airborne skills at the Yelahanka Air Force base. Apart from manned jets, this year's show will also see the race of drones, or unmanned aerial vehicles. While the winners of the Drone olympics will get a total cash prize of Rs 38 lakh, a total 57 participants have already qualified for the prelims.